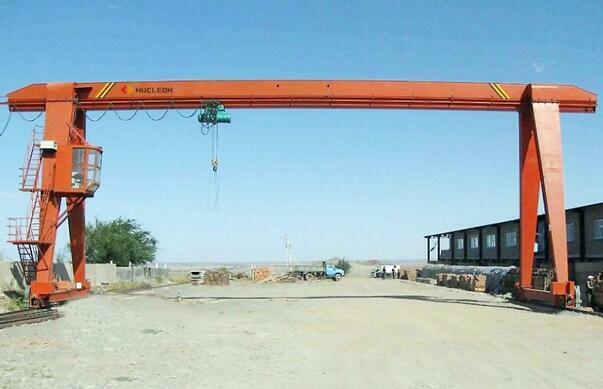 The gantry crane has become an indispensable lifting device in many fields, so its safety is important. But once the gantry crane appeared gnawing rail, the great harm, will constitute a serious gantry crane trouble. And constitute the reason for gnawing is messy, big car rail coincidence degree, inclination, gauge and other construction technical parameters errors will lead to the occurrence of gnawing rail. However, the traditional method of inspection there is a big limitation, it is difficult to achieve on the gnawing rail to make preventive measures. 1, in this case, anti-chewing rail technology has been widely used. Gantry crane This technology can only be adjusted by electrical means, can not completely eliminate the gnawing rail, only in a small range of repeated adjustments, so the longer the longer the role of the more obvious. Anti-gnawing technology can be useful to reduce the cart wheel, couplings, reducer, motor and other equipment consumption costs, to ease the product cross-regulation of billet hostile, and reduce the number of artificial repair costs, useful to reduce the staff Labor intensity. Not only that, but also to prevent the deformation of the body, the body, rail, Liang Liang played a protective effect, and to ensure the safety of the gantry crane work. 2, but also through the appropriate forward planning of the stiffness, especially the horizontal stiffness to prevent gnawing rail. For example, the main beam is usually selected horizontal stiffness and modified rigidity of the box-shaped beam planning; two horizontal level of the auxiliary role of the bridge to increase the horizontal stiffness; will be partial rail box beam reinforced plate, made horizontal structure planning; In the horizontal plane, the main beam and the end beam are rigidly connected to form a rigid frame plan. 3, because the gantry crane bound span and the base distance ratio and the gantry crane to allow free skew inversely proportional, you can ensure that the gantry crane has a certain free torsion pendulum. When the gantry crane overturned to allow free skew, through the metal planning to make the work of the two ends of the work resistance redistribution, so that the two speeds tend to come together, arrived at the synchronization.